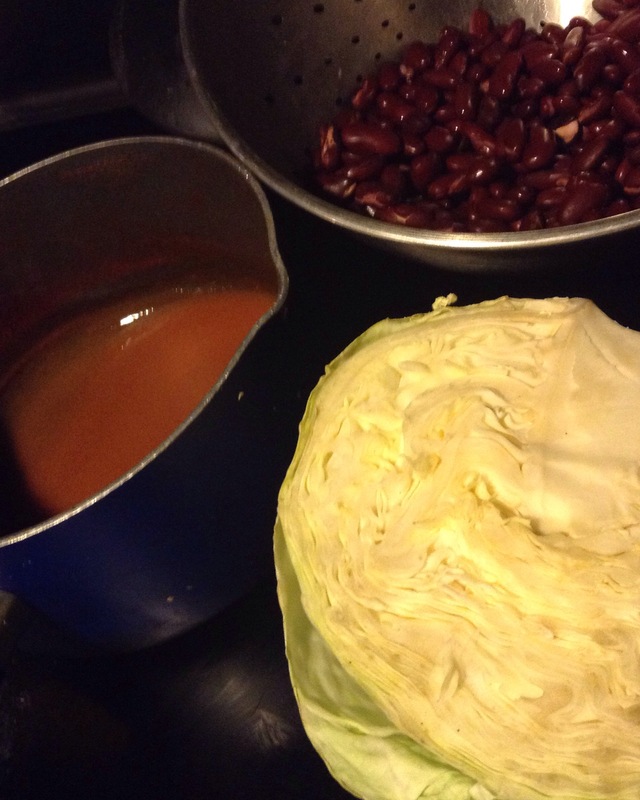 No Food Wasted: Half a cabbage+kidney beans+leftover tomato soup = …. One of my family’s favorites is fried cabbage. This is just a twist in that. First – I sautéed garlic and onion in cooking oil. 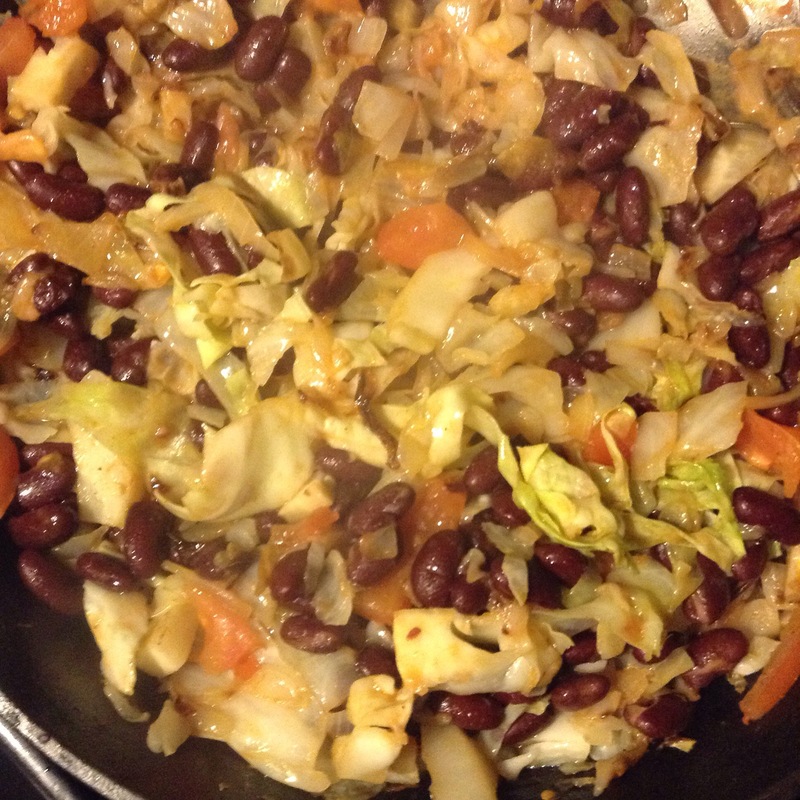 I added a little bit more oil and tossed in coursely chopped cabbage. I like to let it cook until the onions are caramelized and cabbage tender and slightly browned. Then I added the beans , chopped tomato, & tomato soup and seasoned with salt & curry . Let cook until everything is heated through and that was that. You can use any seasoning you have on hand and it would be just as awesome. I just happened to be in the mood for curry that evening. I served it with rice but my daughter ate it without happily . I think she’s sick of rice. It looks delicious, makes me hungry just looking at the photo! 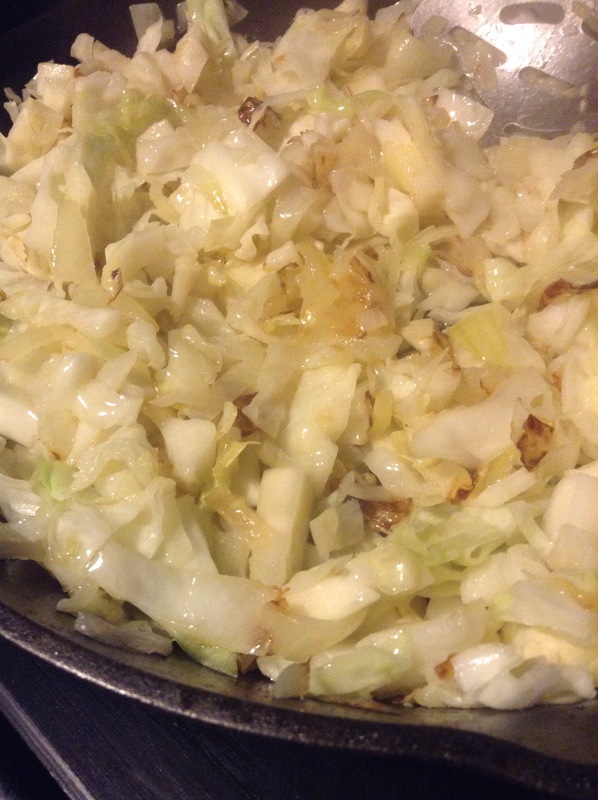 There is a reason fried cabbage and onion is a common European peasant food – cheap, filling, and delicious! Caramelizing the ingredients is as good as adding another ingredient. The umami released by the browning enriches the flavors. It is definitely worth spending the extra minutes on. Also, if you have access to an oven roasting those elderly tomatoes transforms them into a treat. In fact just about any vegetable drizzled with oil, salt and pepper and roasted at 400* until browned at the edges is good. This is where I splurge a bit by buying olive oil, but if you don’t like olive oil any mild oil works. Right now my roasting choices are fall root veggies and winter squashes.